Students in Bell Top’s Coding Club draw a winter town for their Ozobot robots. 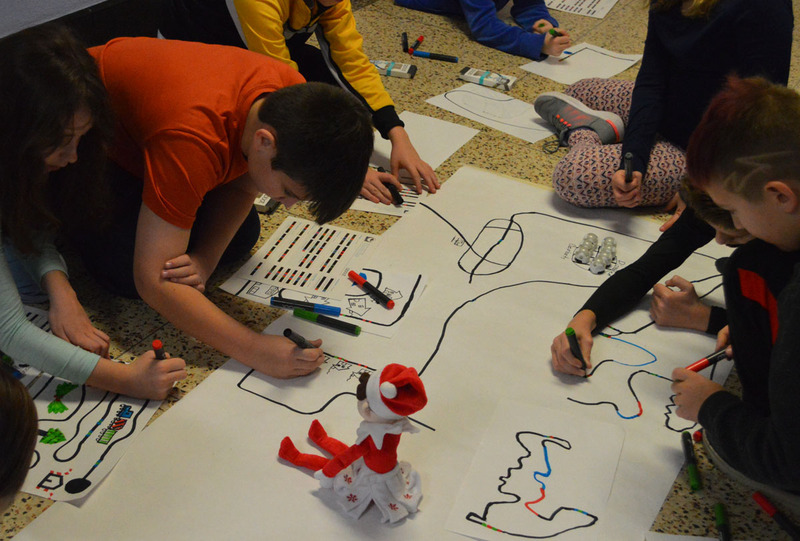 Bell Top fifth grade students crowded around a long sheet of paper in the hallway before school on Monday morning, using colored markers, Ozobot robots and their imaginations to create a Winter Town. They drew toy shops, ice rinks and paths for the robots to maneuver throughout the attractions. Students use this color code reference chart to dictate the robot’s actions. The fun group project was a part of the school’s Coding Club, which teaches students about coding using sets of instructions. Students used various Ozobot codes to dictate the speed, direction and moves they wanted the robots to make. Each of the codes shows a black line with red, green and blue blocks in different arrangements. 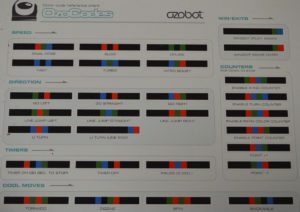 Once the students draw the code on paper using colored markers, the Ozobot robot scans the code and follows the instructions. Each of the district’s elementary schools has its own Coding Club. Bell Top’s students learn different aspects of coding during the 8-week program. Before using Ozobots, the students used Scratch coding on Chromebooks to create animations and a virtual pet.